Concept sketch of the Forest City development. Forest City is a 100-billion dollar development near the border of Singapore. The plan eventually calls for a city of 700-thousand people in Johor state, Malaysia. A Chinese company called Country Garden Holdings has been working on it for more than four years. It will eventually include apartments, offices, hotels, and shopping centers. 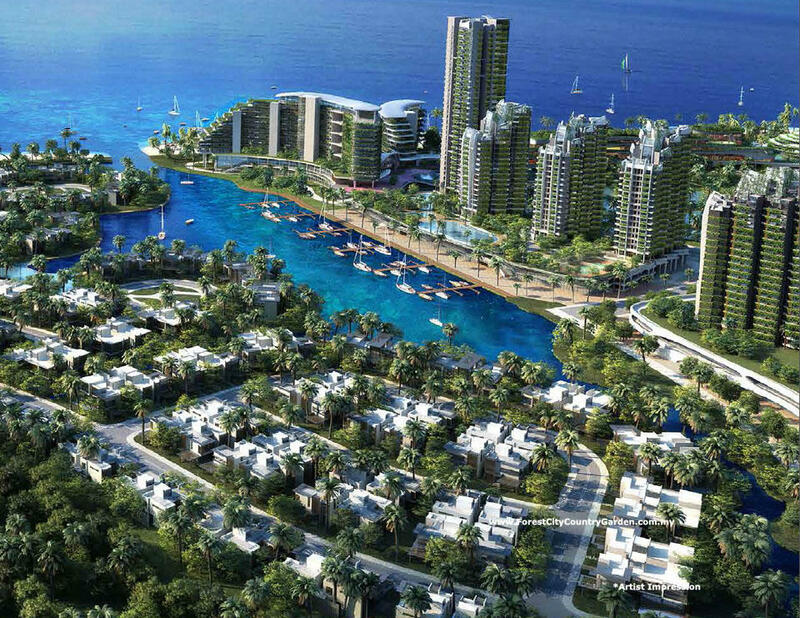 They’ve been selling units in Forest City—and so far, about two-thirds of the buyers are Chinese…about 20-percent live in Malaysia, and the rest are from 22 other countries—from Indonesia and Singapore to South Korea and Vietnam. On Monday, Malaysian Prime Minister Mahathir Mohammed said foreigners would not be able to purchase units. That was shocking news to many—including the government of Johor state—which is a partner in the project. On Tuesday, the prime minister’s office said that simply buying property would not guarantee legal residency. Malaysia has had a residency program for years that favors wealthy investors—the starting point: liquid assets of more than 120-thousand U.S. dollars and monthly income of some 24-hundred dollars. But this particular development is sensitive largely because of its Chinese ties. Mahathir accused his predecessor Najib Razak of “selling out” Malaysia to Chinese investors. The developer says it’s awaiting further clarification from the Prime Minister.